For those of you who are coming across the World Extravaganza website for the first time, allow us to introduce our advocacy. We are an Open Mic Community Music and Arts Organization dedicated to advocate music and arts and build a haven for all things artistic. Our mission and purpose is to create, foster, and maintain an music and arts community that supports each other as a whole and as individuals. Currently, we organize regular and weekly Community Open Mics in Manila, Philippines. Our Open Mic events provide a safe haven and sacred space for artists and performers to explore and take risks, challenge themselves, and welcome something completely new and terrifying. We're a free flowing art space, and of course we love collaboration and invite all music and art appreciators and lovers to our events! All art forms are welcome on stage – from Music, Dance, Spoken Word, Poetry, Storytelling, Monologues, Flow Arts, Stand-Up Comedy, and Improv, Speech and many more. We also invite visual artists to showcase their artworks at our events. Open Mic Thursdays (Full Band Set Up) at 121 Allegro in Pasong Tamo Ext., Makati. We also have a THEMED QUARTERLY EVENT showcasing and featuring Musicians and Visual Artists that we pool from our Open Mics that we call SOUNDSCAPE. We also invite more established local bands and artists to headline at this particular quarterly event. As friends within the organization, together we also organize Community Music Jams and create our own introductory and teaching workshops, community gatherings and retreats. Some of us join each other in recording sessions, movie nights, and random hangouts. We also visit and participate in special events and other Open Mic gigs, shows & festivals in the metro. So what are you waiting for? Let's get CONNECTED! 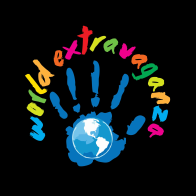 World Extravaganza is spearheaded by Ms. Crystalline. She calls herself the Creative Mastermind of her passion project. Read more her by visiting her website and read her story on her blog post The Voice of Ms. Crystalline. World Extravaganza is nothing without the people who contribute and who are hold a special place in the heart of the organization, so we want to say special thanks to the World Extravaganza Team, our current Open Mic home venue in Manila at 121 Allegro, Makati and previously at Frank & Dean, BGC and of course, not to forget our awesome sound engineer Jojo for making us sound so good during our gigs! If you are interested in performing at our Open Mics, please fill out our SURVEY and join our World Extravaganza Community Facebook group page to be updated on our events and for more information regarding sign-up. Our events are first come, first serve. If you're a music and arts lover and you just want to watch, just stop by our events anytime. Our Open Mic nights are open invitation, so keep on coming, let's jam and have fun! Open genre, covers and originals all OK. Free for everyone to watch and play. To give you an idea of what our regular and weekly World Extravaganza Community Open Mics in Manila are like, read more about our Open Mic Guidelines. Visit our Soundcloud page where we repost artists' tracks we hear at our World Extravaganza Community Music and Arts Open Mics in Manila. If you love us already, feel free to share us some love by signing OUR GUESTBOOK or RATE US AND WRITE US A REVIEW on our Facebook Page. We are also looking for new venues and team leaders who can start a local World Extravaganza Open Mic Community in their area. If that sounds like you, don't hesitate to CONTACT US. Cheers! Thanks for stopping by! Keep it going!